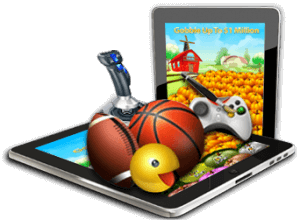 Social and mobile games are becoming increasingly popular because they are easily accessed through mediums such as mobile devices, tablet applications, social media, and internet browsers. As the name implies, social gaming connects users from around the world, and allows people to meet and compete with other users with the same passion for certain games. 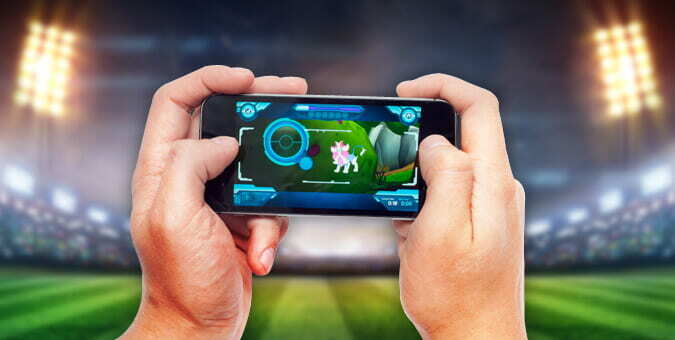 The convenience of smart phones and the widespread availability of internet have propelled social gaming into a multi-billion dollar industry. It is common to be on a flight, bus, or in a waiting room and see your neighbor pull out their phone to play social games. It offers users a brief respite from their day to reduce stress, increase mental stimulation, induce relaxation, and achieve some social interaction without being tied to a single location. This escape is often free or inexpensive to play, which makes social gaming variations of popular casino style games an ideal platform to reach users in masses without needing to navigate the muddy waters of gambling legislation. Social games played on mobile devices represent one of the fastest growing segments within the gaming industry. It is projected by Venture Beat that the worldwide mobile and social gaming industry could reach 60 billion dollars by 2017. Although the market has attracted many big names like Zynga, Rovio, and King, many start-ups have gotten in on the action by creating innovative games that quickly gain mainstream popularity thanks to engaging design concepts and addictive gameplay. Social game concepts encompass a wide range of genres including variations of popular casino-style games and digital versions of board games, as well as puzzles, strategy, and role-playing games. Newzoo games market research reports that 247 companies each earned more than one million dollars in the past year in the United States app stores alone, which indicates there is ample opportunity for new players in the market to generate significant revenue and market share by introducing the next big social game. Deciding whether to charge users at point of download “paymium” or allow it to be a play-for-free application, “freemium” is important for the monetization strategy. In an industry that is driven by immense amounts of profit it may seem counterintuitive to offer gaming for free. However, if the right game is produced and brought to market a social and mobile game can earn an entity significant profits. Although most of the games are initially free to play, there are myriad of monetization models that various game creators use to generate revenue in this highly competitive space. Social games rely on micro-transaction business models to generate a ROI. Micro-transactions are a form of intra-application billing of virtual goods. The goal here is to lure users in with the free-to-play accessibility, and charge them to gain certain advantages including premium usage, increased game progress, or entry into contests to win certain non-monetary prizes within the game. Other monetization models include subscriptions for continued access to multi-player social games, fees to play the next level, or selling virtual coins that have no real monetary value once the initial supply of virtual coins runs out during play. Additionally, revenue can be generated by allowing advertisers to market within the gaming experience. The bottom line is that social gaming is a rapidly expanding market with seemingly limitless potential for growth. With the right development partner, you can turn a simple game concept into a viable, viral game beloved by millions throughout the world. There are very few barriers to entry into the social gaming space and virtually no regulatory considerations as long as the game in question does not involve monetary payouts to players. With hundreds of potential vendors looking for more advanced games and millions of potential players waiting for the next big social game, it could not be a better time to break in to the social gaming industry.